The Teen and Youth Center (TYC) in Seward was at a low point. Attendance was declining, and grades were dropping – especially after summer break. 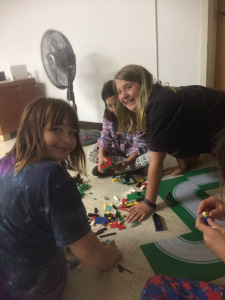 “Kids just wanted to stay home and play video games,” explains Josie McClain, coordinator of TYC, a city-run program offering afterschool programs and summer camp for elementary and middle school students. Josie received a grant from AAN and attended her first STEM training – on bugs – last October. “I don’t even like bugs, but it was so cool,” she says. After completing the training, she brought the curriculum kit back to Seward and launched a pilot program for middle schoolers. And that’s when the tides began to turn for TYC. 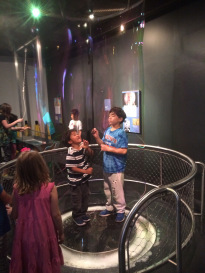 As part of the summer program, kids visited botanical gardens, explored the Imaginarium in Anchorage, and went on a behind-the-scenes tour of the Alaska Zoo. 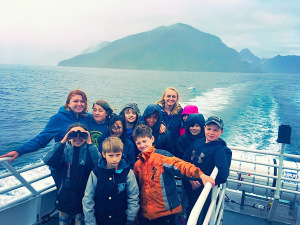 “It was the coolest summer, and I have been doing this for a long time,” says Josie, who has been at TYC since 2005. One student in particular stands out to Josie – a middle schooler who has always struggled to fit in with his peers. This summer, as part of another Science Action Club STEM curriculum on birds, the student was put in charge of researching the different kinds of birds that the group saw. Josie is looking forward to continued opportunities through AAN, including a Science Action Club training on clouds this winter and the Alaska Afterschool Conference in November. The Alaska Children’s Trust 2017 community report is full of inspiring real stories like this one about how our supporters are making a real difference in the lives of Alaska’s children and families. Read more on our website – and if you’d like to help us make a difference, please consider making a gift to ACT. Thank you!